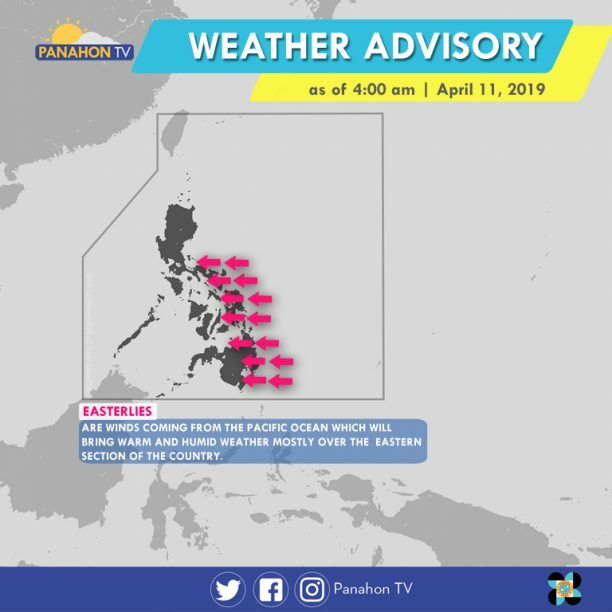 Easterlies affecting Southern Luzon, Visayas and Mindanao will bring partly cloudy to cloudy skies with isolated rain showers and thunderstorms in Palawan, Visayas and Mindanao. Metro Manila and the rest of Luzon can expect partly cloudy to cloudy skies with isolated rain showers. Easterlies affecting the Central and Southern Luzon, Visayas and Mindanao.